The Lombard Company is experienced in constructing housing facilities for the elderly. Our quick turnaround capabilities and careful attention to detail ensure your building project is completed as scheduled and to your complete satisfaction. The Lombard Company would be happy to work with you as the general contractor on your next project and is certain you will be more than satisfied with the results. 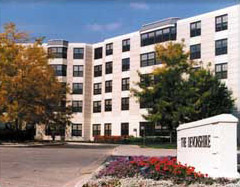 The Devonshire is an upscale retirement community in Lisle, Illinois. The facility has 330 apartments, an indoor wading pool, social and activity center, beauty and barber shops, library, general store, ice cream shoppe, detached garages and all the amenities of retired life. The five story building is a cast in place concrete structure. Crews employed by The Lombard Company framed, poured and finished nearly 13,000 cubic yards of concrete for this project. The decks and exterior shear walls were framed with a flying form system. The $20,000,000 project took 20 months to construct (from groundbreaking to the first tenant move in). This was a three phase project that included an addition and renovation work. The 24,890 sq. ft. redevelopment transformed Park Lawn into a state-of-the-art facility that meets the current needs of residents and the future needs residents will soon face. Accessibility was improved by locating all services on one level. Two residential wings containing 20 two-person bedrooms were added, as well as two special care rooms to accommodate ill residents, hospice services and medical examinations. The Park Lawn Center is a multi-story facility that served as the former Worth Township Civic Center until Park Lawn’s purchase in 1981. It was renovated and opened in 1982 as the first facility to care and house persons with severe developmental disabilities. 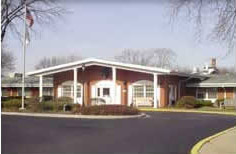 The intermediate care facility provides 24-hour supervision and medical services. Residents make choices within their living environment and plan social, recreational and community services with staff assistance. 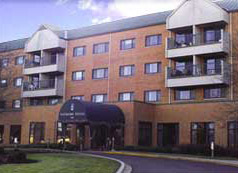 The nearly $1 million project called for an addition and remodeling of the Manor Care center in Oak Lawn, Illinois. The over $16.5 million Waterford Estates facility totaled over 256,000 square feet with 254 units.